He wanted it to work in good surf, but carry more speed and flow when the waves were weaker and less curvy. After a lot of testing and fine-tuning we ended up with the board that had all the right ingredients. John named it Voyager 1 after the NASA spacecraft launched in 1977 for Interstellar exploration. He then got together with his friend J.P. Olson and designed the logo. It has a simple single concave through the whole bottom which helps get the board on top of the water and keeps its speed up in weaker surf. The fuller, soft rails help to balance out the effects of the concave and keep it from feeling to catchy and less likely to dig rail. Voyager 1 is now an important part of JJFs quiver and one of his favorite boards. 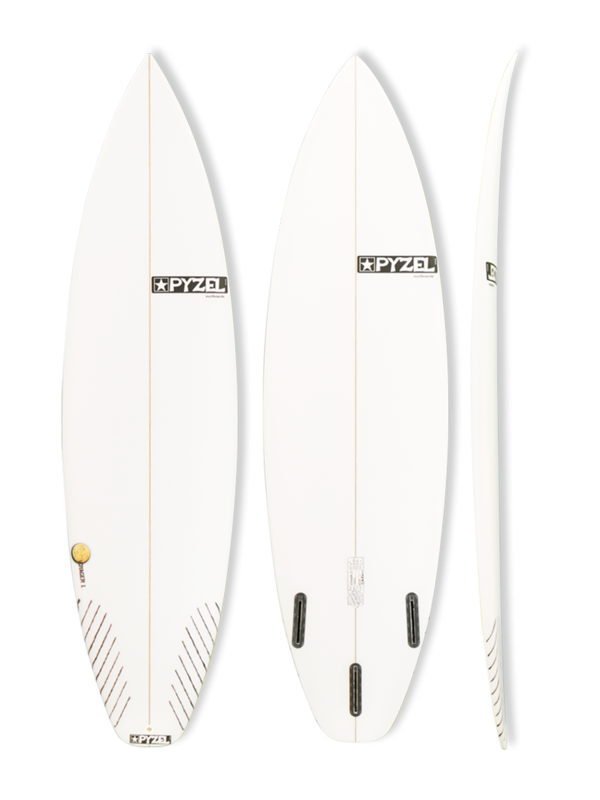 Ride it same in same dims as your other shortboards, or go an inch shorter and a touch wider for smaller waves.